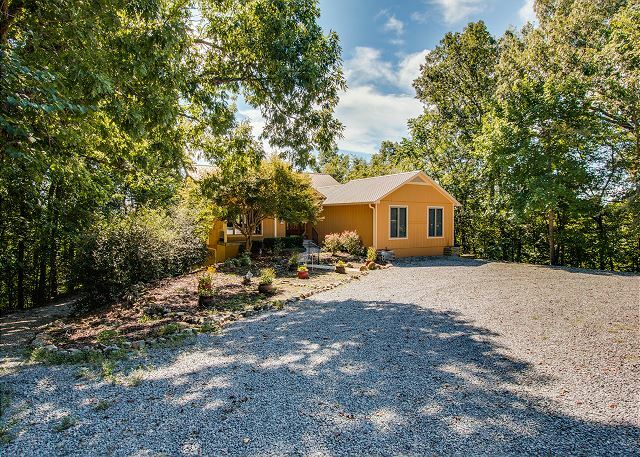 Smithville, TN United States - Aisling House | Center Hill Chalets Inc. Vacation rental house. 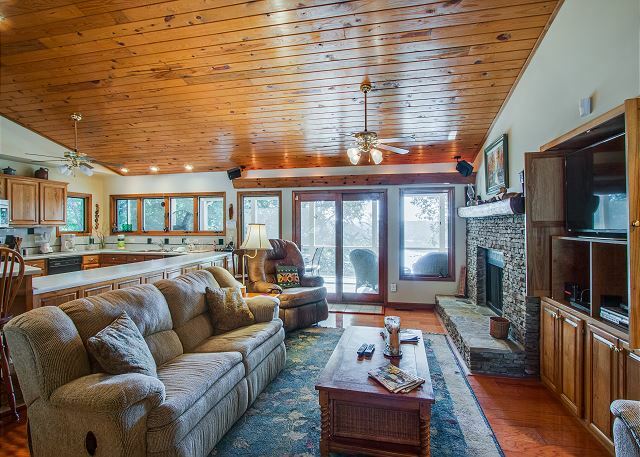 Sleeps 16, 4 bedrooms, 2.5 bathrooms. No pets allowed. 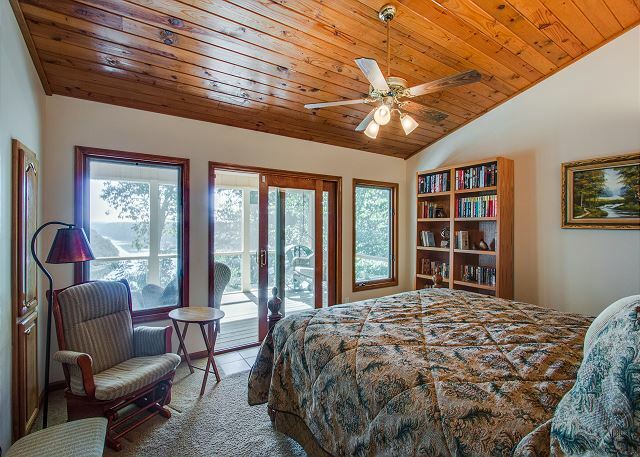 Aisling House, Irish for "Dream House" is perfection at the lake. 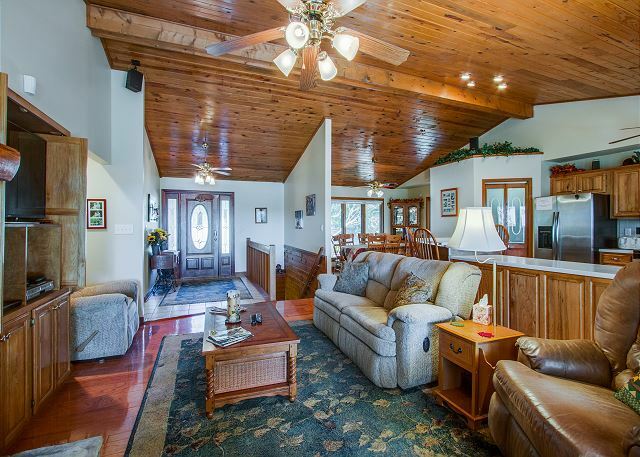 The decor is modern yet cozy, giving guests an open, bright, and welcoming lake retreat. 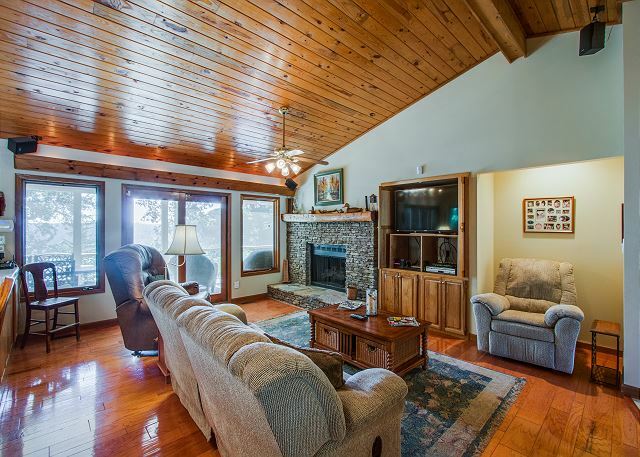 The house is a 4 bedroom, 1 bunk room with 1 king, 2 queens, 2 twins, bunk beds (1 is twin with a bottom full, the second is a twin bunk), one futon, one sleeper sofa, 2 1/2 bath, and a spectacular lake view. 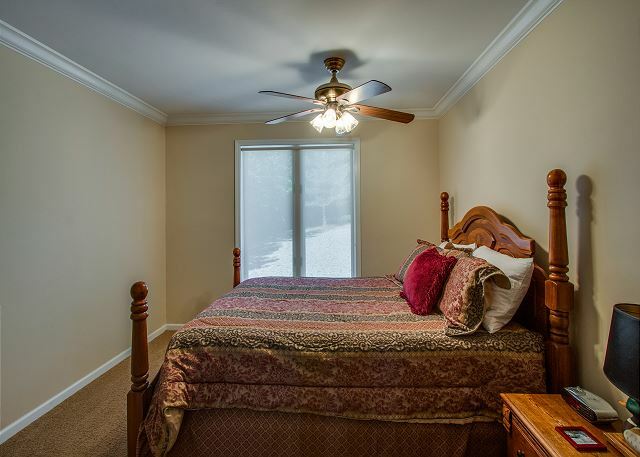 Each bedroom is quaintly tucked away with bathroom access. This perfect vacation spot has a large hot tub complete with a view. 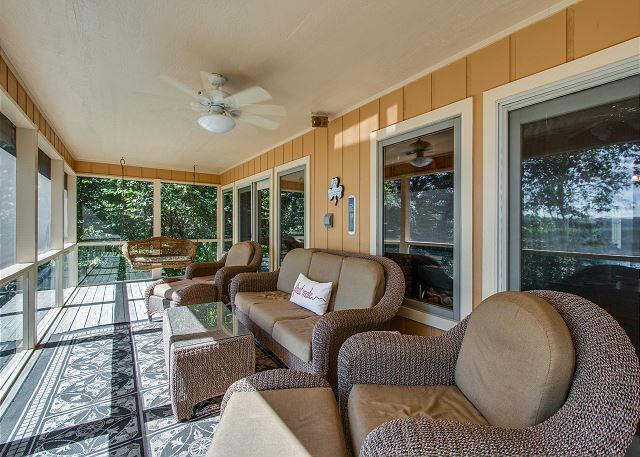 The home features Wi-Fi, satellite, and flat screen TVs. 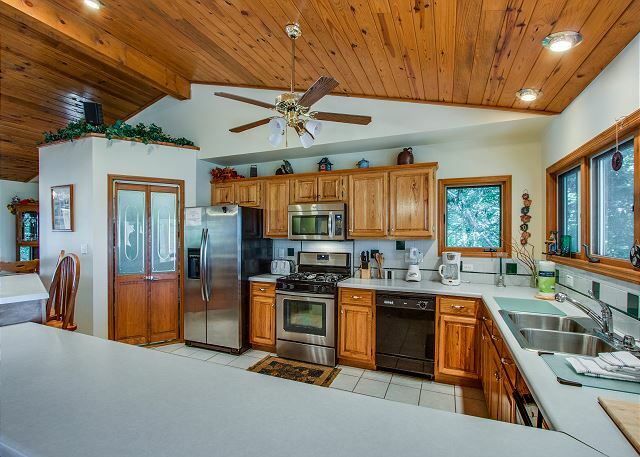 Located on the main floor is a large open kitchen equipped for those who love to cook. 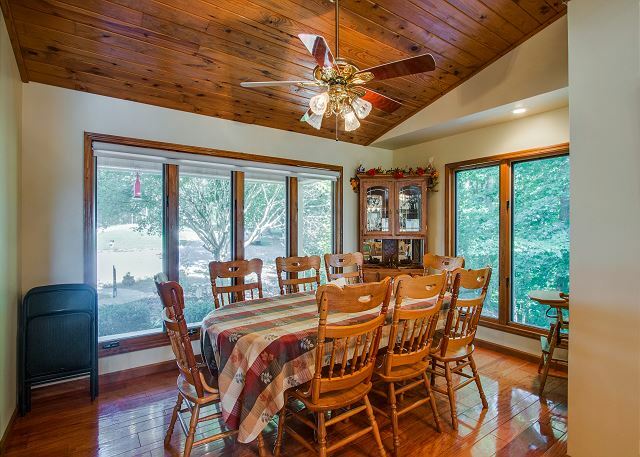 Just to the side of the kitchen is the open dining room with amazing windows, and beautiful hardwood floors. 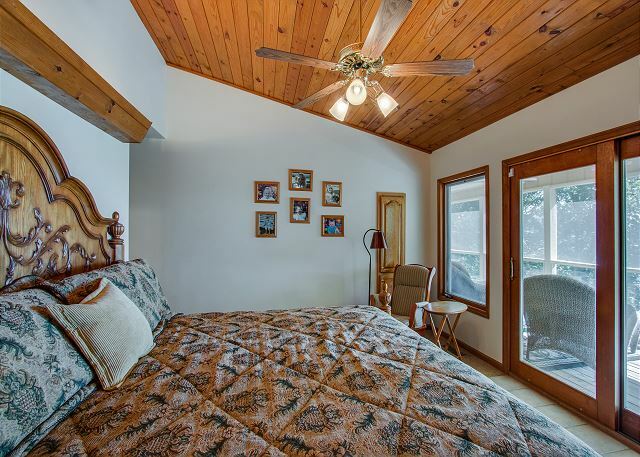 The home has ceiling fans throughout, and beautiful covered balconies. 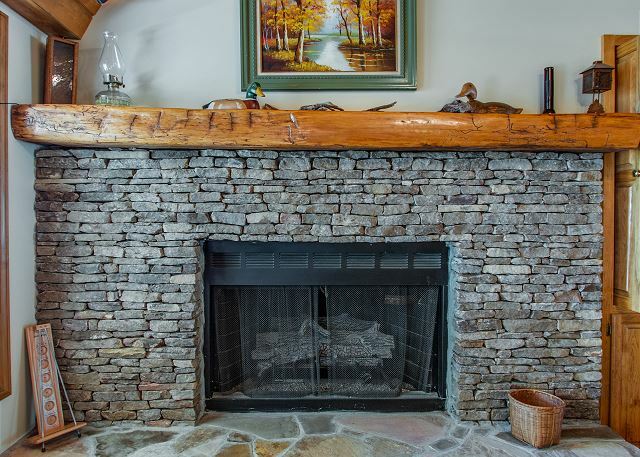 There is a decorative fireplace in the living area (not for use). 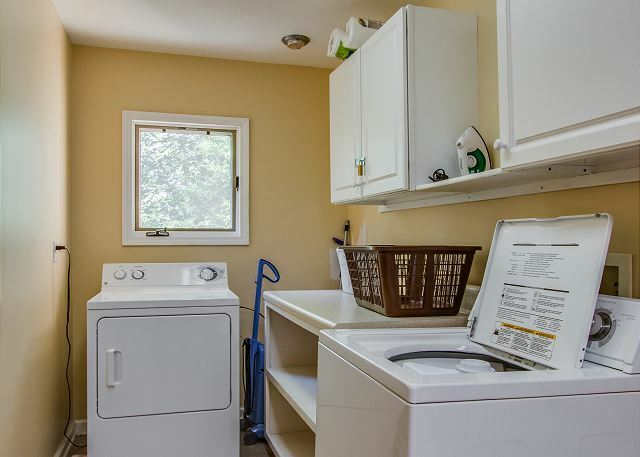 This home includes a large laundry area with a washer and dryer, great parking, gas grill, and large outside fans to keep you cool on those warm days. 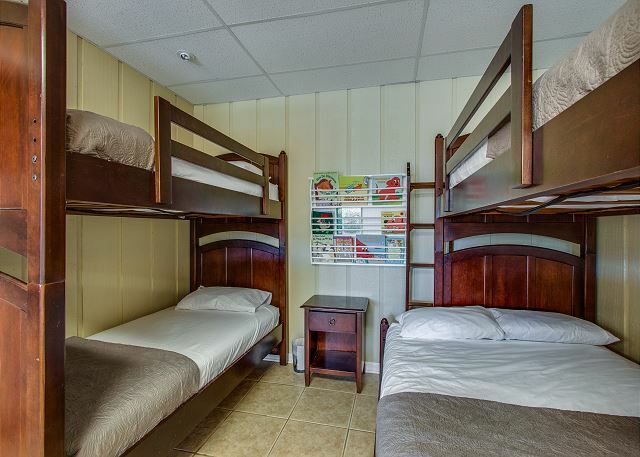 Tucked away you will find a pack and play, a high chair, and a beautiful playground for your smaller guests. 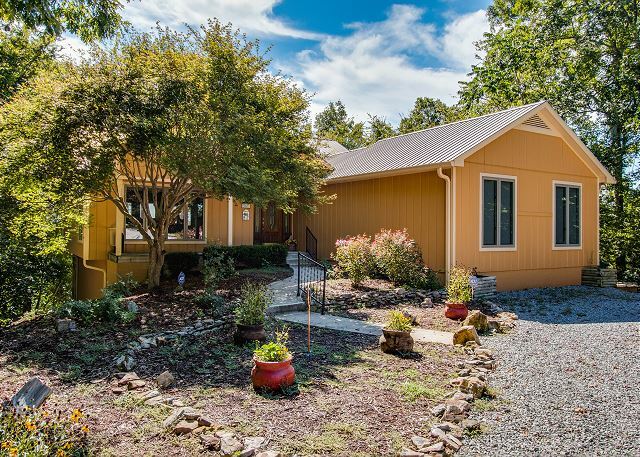 This beautiful home has adequate parking for 4 - 5 vehicles. 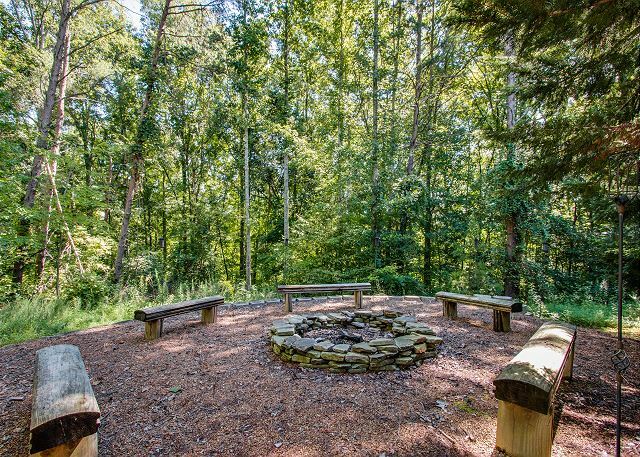 Enjoy an evening next to the campfire with the well-designed fire pit outside. You will want to experience this vacationer's dream come true! The chalet was clean and comfortable, had everything we needed. The view is spectacular, the location far enough for peace and quiet but close enough to anywhere else we needed to go. 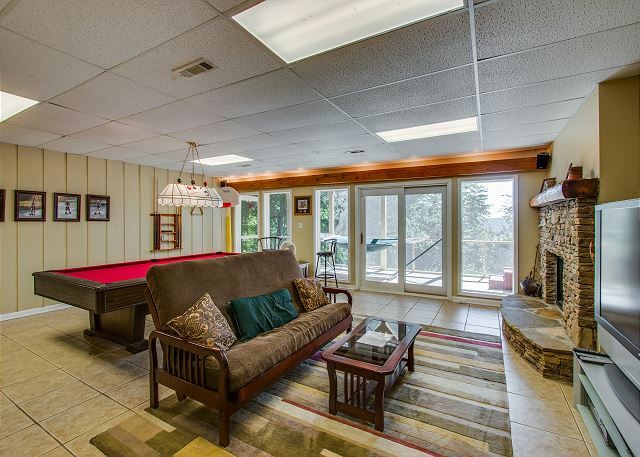 Loved the upstairs deck and all the windows. 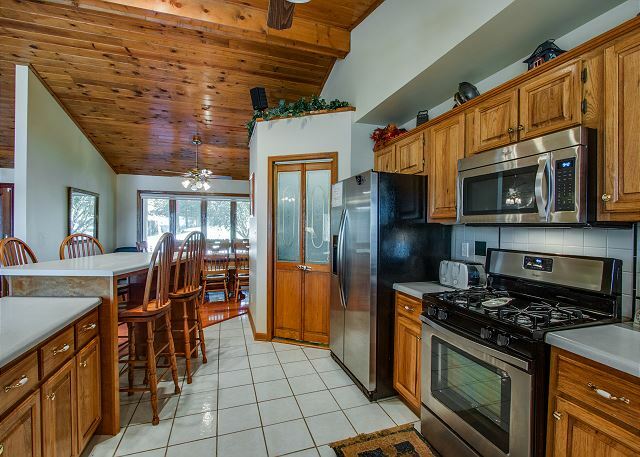 The kitchen/dining/living area was a great place to gather, plenty of room for everyone. I would recommend checking the hot tub prior to guests arrival, it was cold when we got there, but the staff and maintenance were quick with response on how to reset. We would love to stay here again! Thank you for your review, Marsha. We are thrilled that you enjoyed your stay at Aisling House. We hope you will stay again soon! 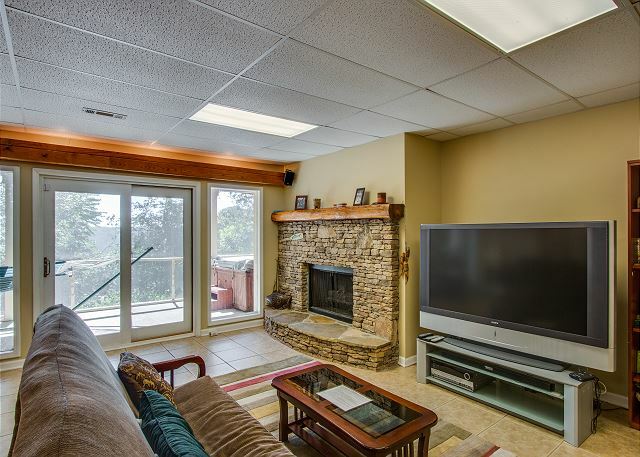 We chose this property because it had plenty of room for several families. There were 12 of us. 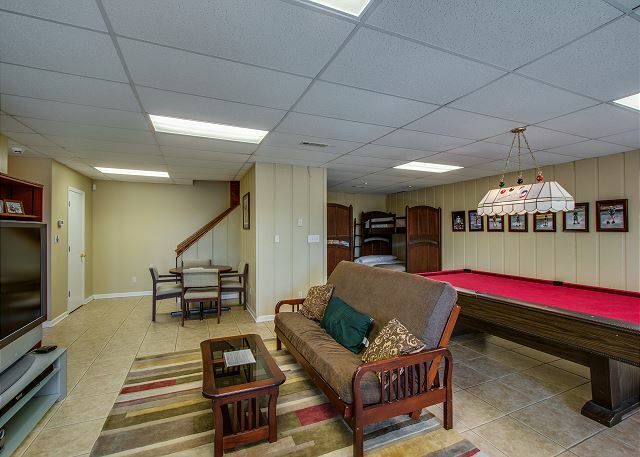 And it has a nice area for the kids in the basement with the pool table, also a play set outside. We had to call the management company to turn the hot tub on upon arrival. It would have been nice if that was done earlier in the day so it would have been hot already. 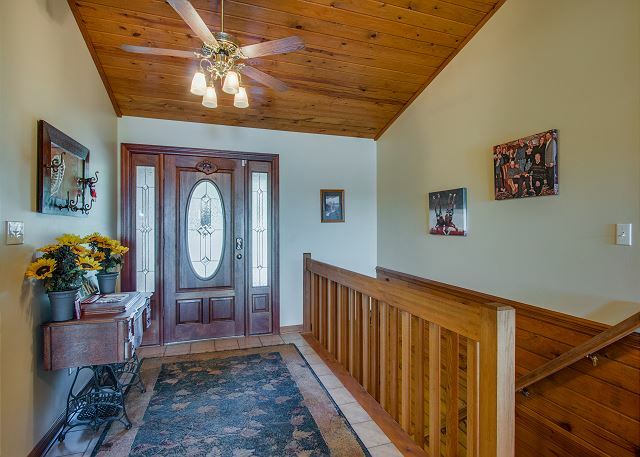 The home has 4 bedrooms plus a nook with bunk beds in the basement. 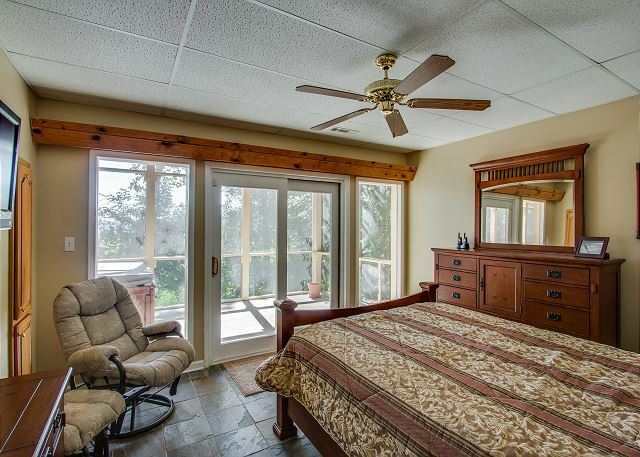 One of the bedrooms with a queen bed is in the basement. 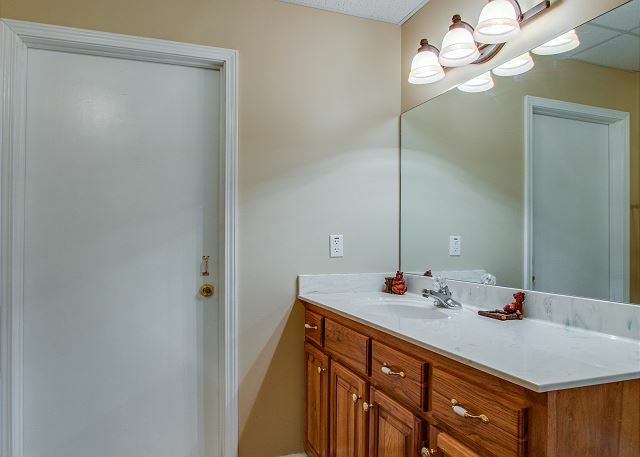 A full size bath is in the basement also. 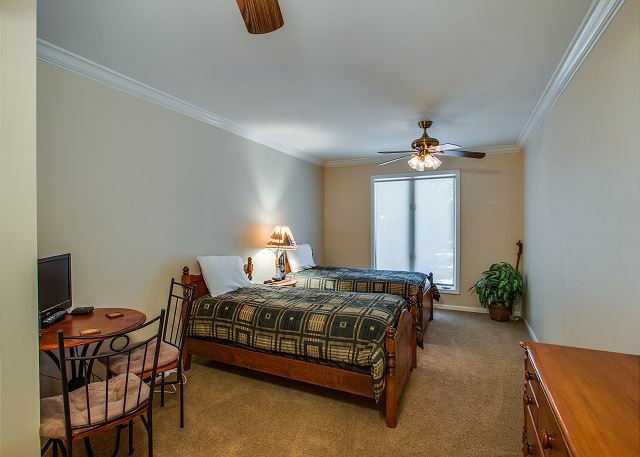 The king size bedroom on the main floor has the only full bath on the main floor. This bathroom does not have a door, so the people who are staying on the main floor that want to shower have to shut the bedroom door. Which was a bit awkward, since the people staying in that bedroom couldn't get in the bedroom until the person showering was done. 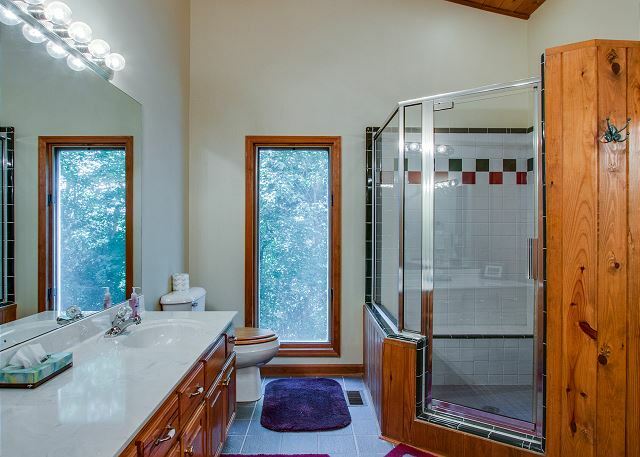 It does have a half bath on the main floor. 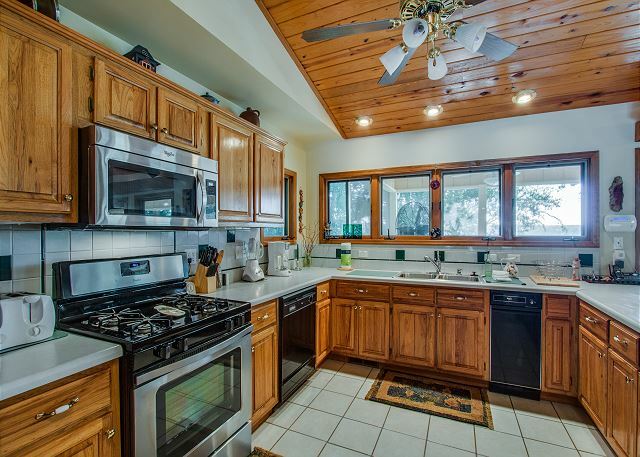 The kitchen is big and has plenty of counter space. Lots of pots and pans and cooking utensils. Gas cooking stove. Nice view of the lake. Lots of dvds. The clean up crew came 30 minutes before we were supposed to check out on Sunday morning. It was a bit nerve-wrecking seeing this SUV pull up on a dead end road. It didn't have a sign or any markings on the vehicle. Overall, it was a nice stay and had plenty of room for everyone. Thank you for your detailed review, Angela. We are happy that you enjoyed your stay at Aisling House. We apologize about the problems with the hot tub as well as the cleaning crew showing up too early. We hope you will stay again soon. We had a good rental experience. The location and size (bedrooms, living areas, large dining table and large kitchen space) worked well for our group. The bedroom setup in the basement was odd as it was right next to a living area. 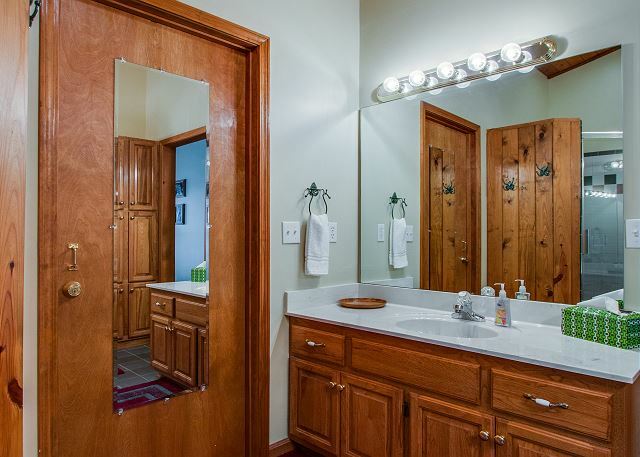 Having a door to the master bathroom would make it a lot easier when a larger group shares the space. TVs are somewhat outdated. Internet worked great. Thank you for your review, Trina. We are thrilled that you enjoyed your stay at Aisling House. We hope you will stay again soon. This house is fabulous! 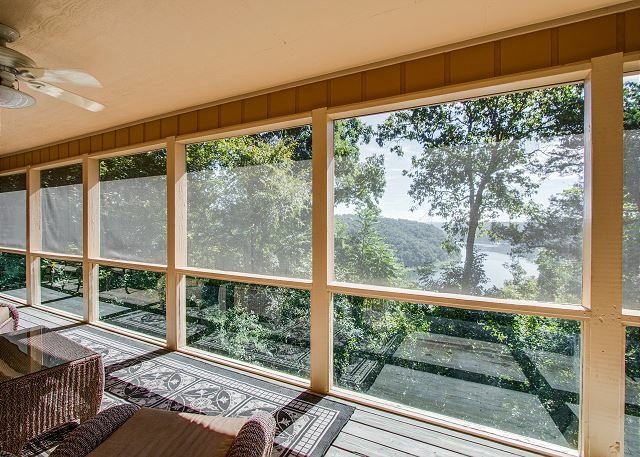 Great view of the lake, and the home was clean, well stocked, and beautiful. We enjoyed our stay very much. Thank you for your review, Carol. We are thrilled that you enjoyed your stay at Aisling House. We hope you will stay again soon! Great house! We were 9 people staying on a family vacation and were very comfortable. The view was outstanding and the house was well stocked with pots, pans and other essentials. The driveway gave you a sence of isolation, being so long but the house was modern and warm. My kids (all over 21) enjoyed the hot tub and pool table. We were quite a distance from Nashville (about an hour and half away) but it is an easy drive and we went there 4 times. Gas stations, convience stores, fast food and Wal-Mart were only 20 minutes away. The negibors dogs were VERY friendly and spent most of their vacation on the front porch just hanging out. Needed to use a diferent GPS address in order to get to the house but that was minor glitch. We would highly recommend this place to anyone for a great get away. Thank you Lydia for your review of Aisling House. We are thrilled you enojoyed your stay. We hope to see you and your family again soon! Overall stay was great! The view of CH is fantastic and the cabin was very well equipped. We didn't get to enjoy the firepit area only because it rained. The beds slept very well and everyone had a great time. We had people from 4-55+ years old. The kids all enjoyed the downstairs area. Waking up to the sunrise over the lake will be my favorite memory of the weekend. Happy 20th Anniversary! We are glad you enjoyed your stay and look forward to your return! Thank you for your review! From the first call to Jennifer from Center Hill Realty, to the last glance in the rear view mirror, we loved out experience and family vacation at Aisling House. 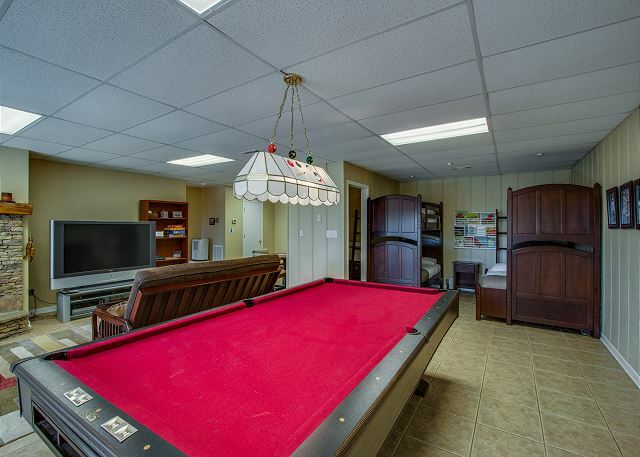 The setting is beautiful, the home very well appointed, and plenty of room for our children and grandchildren to spread out, relax, and play lots of games. 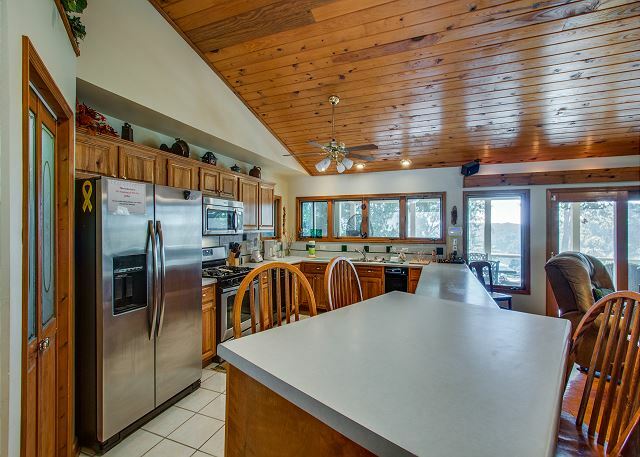 The kitchen is amazing, and I enjoyed preparing large family breakfasts, an early Thanksgiving meal, and cookouts, both at the gas grill and the amazing fire pit area. The only drawback is our grandchildren were afraid of the large dogs that came to visit from the neighbor. While we love dogs, they kept the little ones from enjoying the playground and campfire. Everyone said they hated to leave, and would certainly want to come back again! Thank you for your review! We are glad you were able to enjoy your time at Aisling House, and able to have a wonderful time as a family! We are currently working to resolve the issue with the dogs in the area. We have put up sound repellant devices and are looking into other options as well. We understand even as friendly as they can be, we do not want anyone in the area scared. We look forward to your next visit with us! Wonderful place for the 12 people in our family. 7 adults and 5 kids. Center Hill Chalets provided peace and ease of mind through their customer service before and during my group's visit to the Aisling House ("Dreamy Lake House"). The house was perfect for our stay with ample kitchen space, enough beds/pull-outs/futons for everyone to sleep in, and the beautiful scenery encompassing the cute getaway home. We were able to mix bonding and business during our fall retreat with the many amenities and nearby attractions such as Rock Island State Park. The villa was beautiful! Accommodations were great. There was enough room. The place was well stocked with dishes etc. and linen. Great view of the lake. My family loved the neighbors dogs! lol. Though there isn't much in the closest town, we would stay there again. We look forward to your next visit and are glad you enjoyed your stay with us. We have some local attractions that are very lovely. On your next stay call our specialists and we can give you some information on the local area. Thank you for your review! Stayed at the Aisling House with 3 co-workers on a business trip. We were all very pleased with our stay and hope to return again soon. The house was beautiful, clean, and very well maintained. Thanks so much for a great stay! Thank you for your review! Aisling House is definitely great for business trips as well as vacation! We look forward to your next visit! We loved the house! It was nice and quiet except the neighbors 3 dogs that ran up to us as we pulled up or left the house (a little frightening because it was unexpected). The price was great! 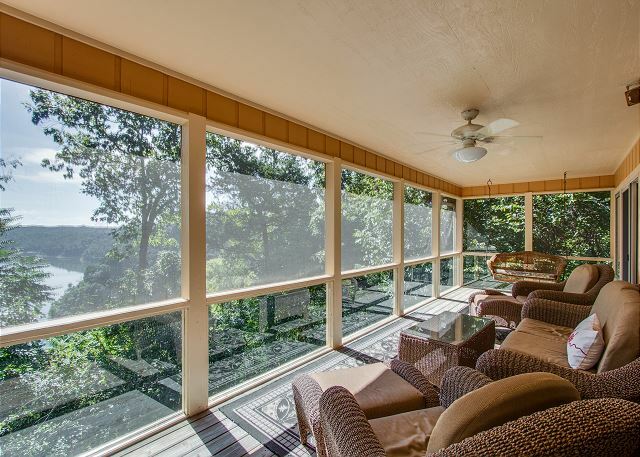 The view from the screened in porch is amazing. I would definitely recommend this house. We are really glad you enjoyed your stay! We apologize about the neighbors dogs and we will make note of that. We look forward to seeing you again! Our visit perfect, plenty of room and private. We may return next year!